Converts the RV 7 socket to the flat 4-pole plug for adapting small trailers. 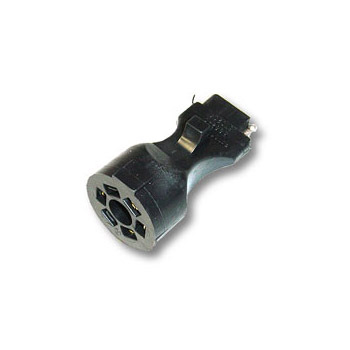 Adapter has a round RV 7-blade plug that fits into a standard RV 7-blade socket, found on most cars and light trucks used for towing. If you work on a lot of utility and RV style trailers we suggest you consider RVcheck designed specifically for testing and diagnosing RV trailers.